I try to use my commuter bike as much as I can when popping into town, but frequently grumble to myself when I forget to grab a lock, or if I can hear a D-Lock knocking on my frame. 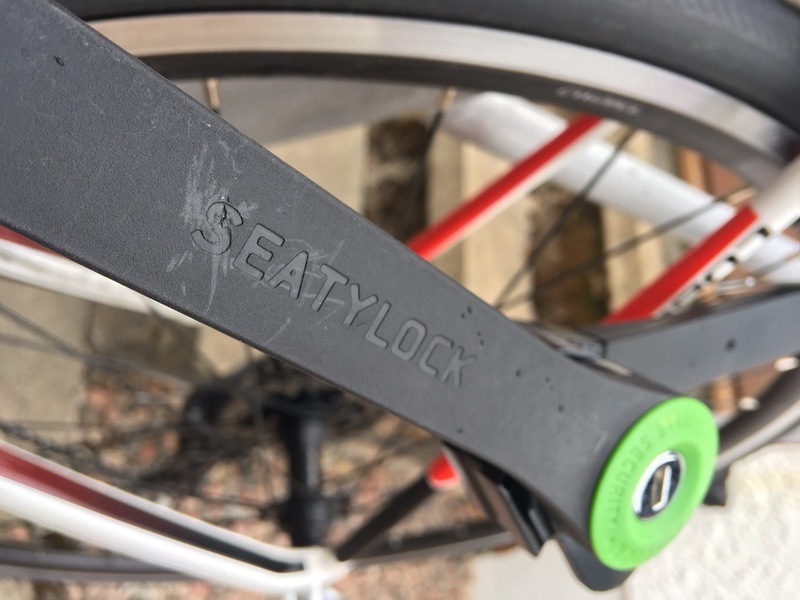 SeatyLock have produced a bike lock, that you cant forget, and also prevents your seat being nabbed! 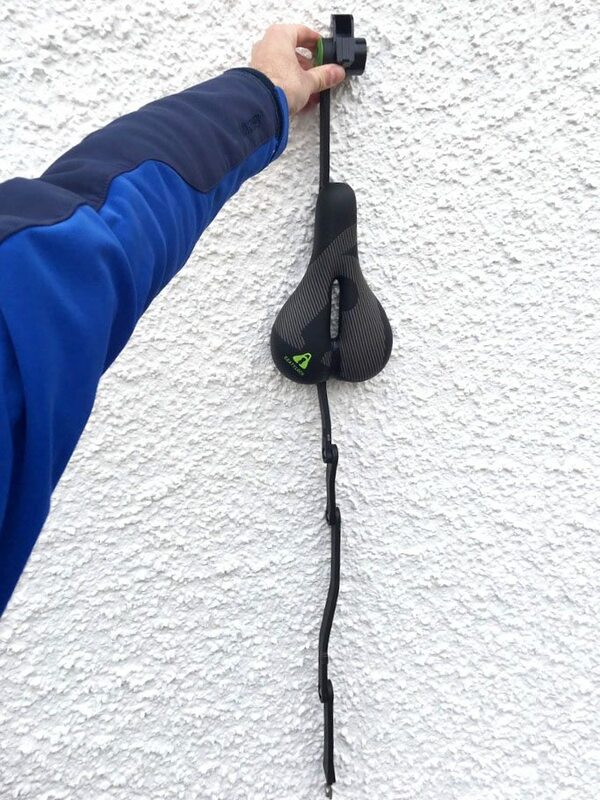 Bike locks are part of life. My first road bike, a Scott Speedster was stolen from outside my training hospital in Coventry (Cast your own aspersions!). When I finally replaced it, I opted for a stiff carbon frame, and determined not to loose it again, purchased a Kryptonite lock, which mounted directly onto the frame. 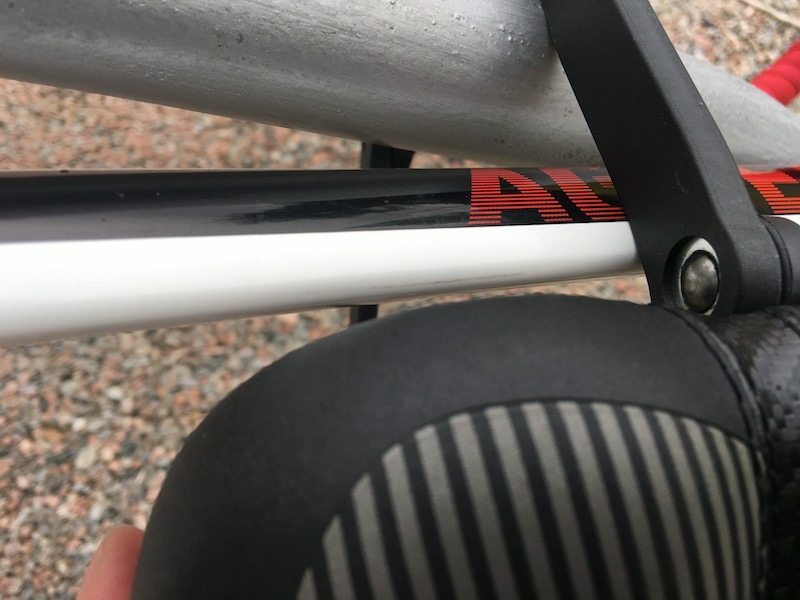 Now I’ll be honest, I’m not that precious about my commuter bike, that I still dont like the idea of things hanging off it, and scratching the paintwork – scratches on a white bike are not a nice thing to see! So the D-Lock has been dismissed and replaced with a HipLok Belt when I really need heavy duty protection . 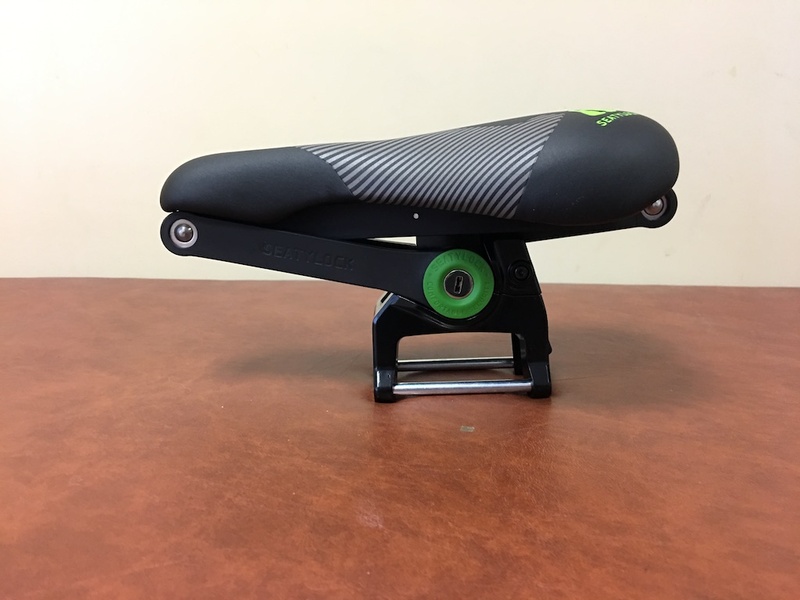 However, and there is always the however point to these things, the HipLok is great for securing my bike, but I do occasionally get concerned I’ll come back to the station and find that I’m missing a seat, even if I have the bike left. 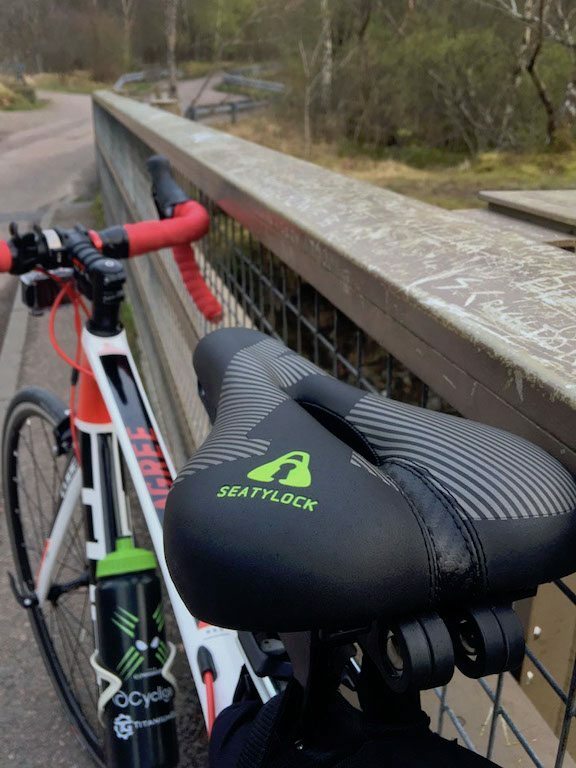 SeatyLok looks to fill in that worry, and also give an addition bit of protection for your bike. 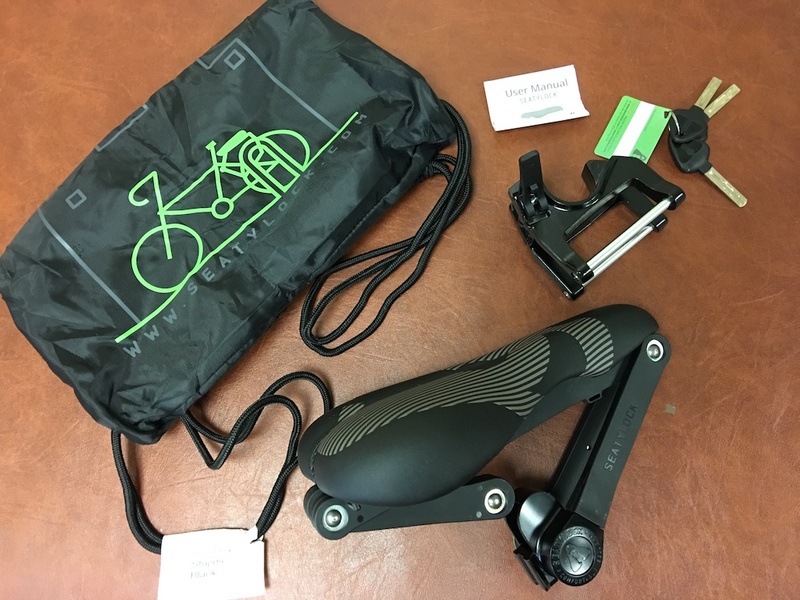 As the unit is a bike seat, and lock in one. 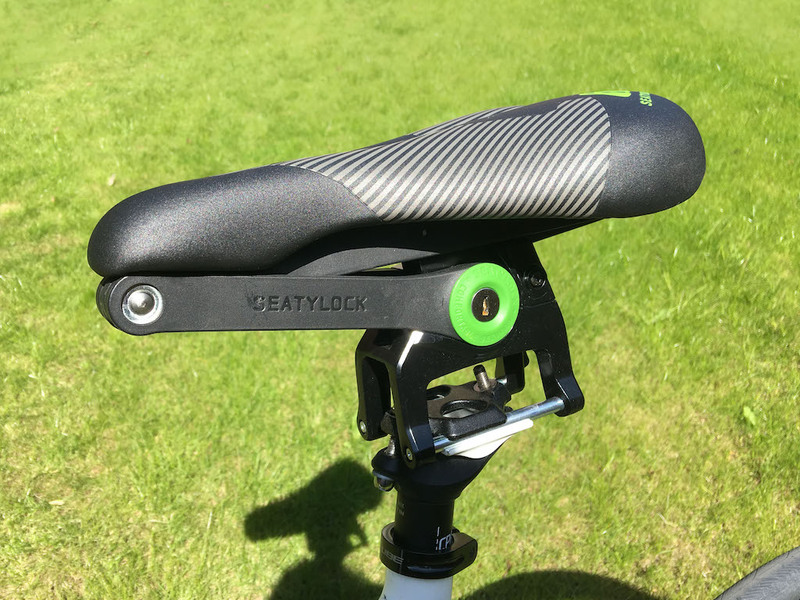 Now let’s be completely honest… the SeatyLock isnt exactly a looker… BUT neither is my commuter bike, I’m not fussed about matching shoes and bartape for that steed, but with that comment out of the way let’s actually look at the design. Perhaps it would be more accurate to say what is in the bag, as each SeatyLock comes with a drawstring bag. 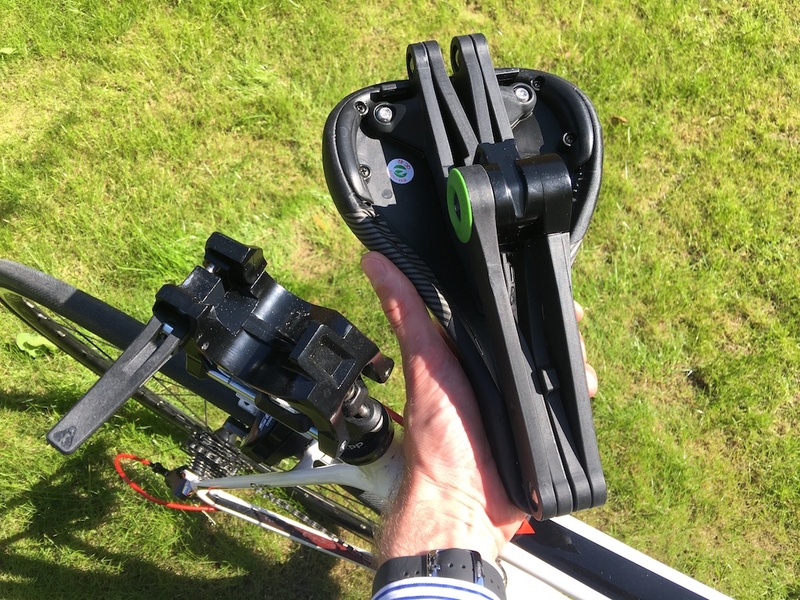 When boxing the saddle, you do get an idea of how much the unit is going to mean dropping your seat post by, as the SeatyLock mount does stand quite proud! 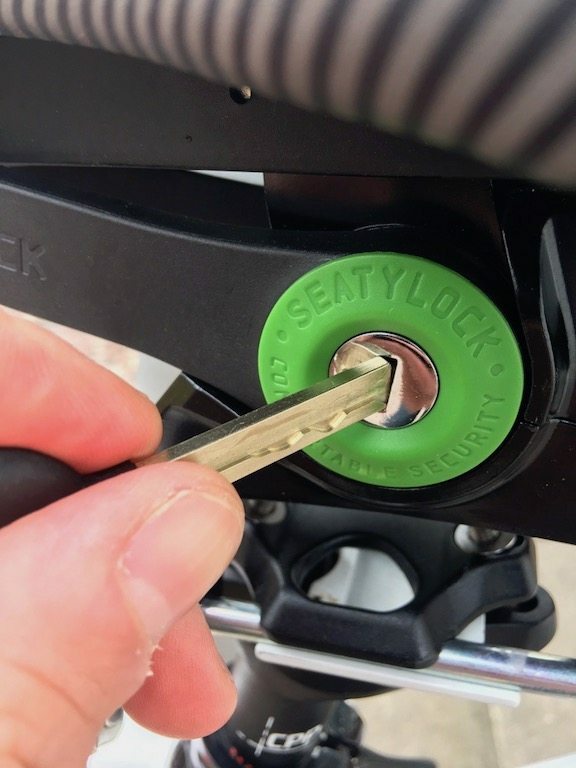 One aspect of the design that SeatyLock are proud of it that fact that the lock and seat unit keep the centre of gravity in a line, rather than potentially throwing the centre off by having a lock in side a bag moving round. The seat itself displasys the SteatyLock logo, and has a pressure relief channel running in middle of the saddle. The seat itself is actually comfortable enough that I’ll jump on in regular trousers and buzz off to work on it without any discomfort over 7km. When unfolded the lock actually looks a little like a snake… Well maybe, perhaps if you squint! 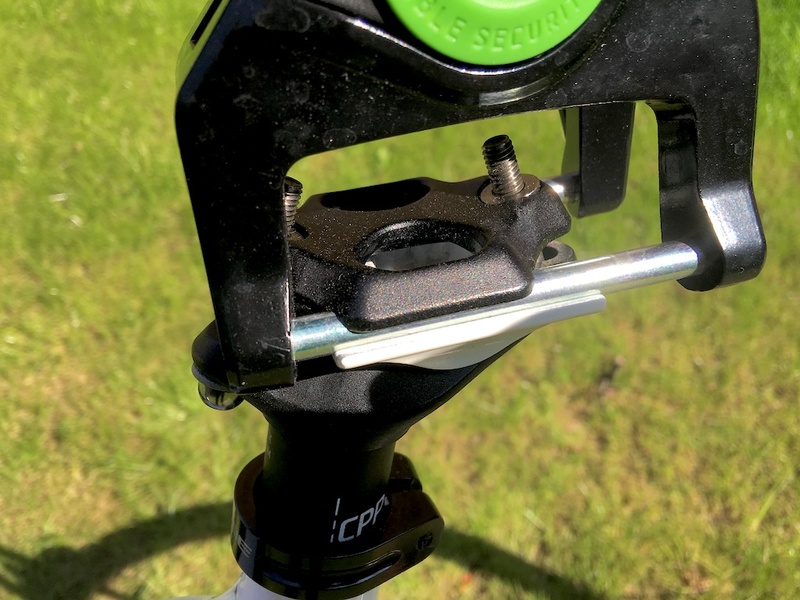 Whilst the SeatyLock cradle is a realtively easy to install, and takes up quite a bit of space, the rails, in my opinion are not quite long enough for the space the cradle takes up. I say this as I couldt quite get my seat back as far as I would like, due to the cradle banging into the stem mount. On the one hand, it is easily enough to say that is an issue with my stem, however I was able to postion my Fizik seat without any issue. If you are hypersensitive to the postion of your seat this might be something to consider. 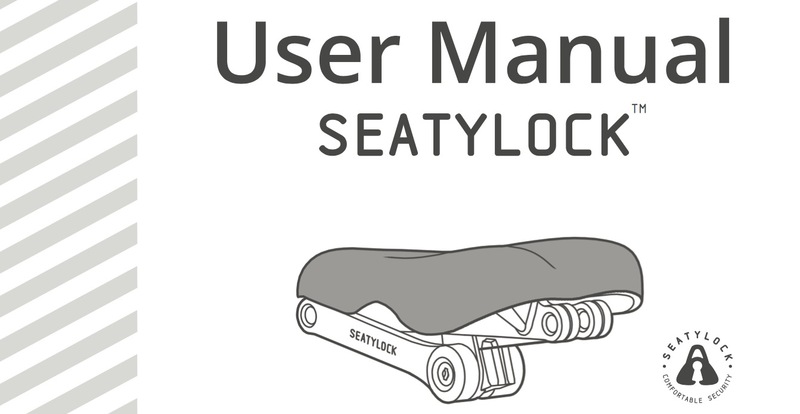 SeatyLock themselves have an excellent little graphic showing how the lock unfolds. 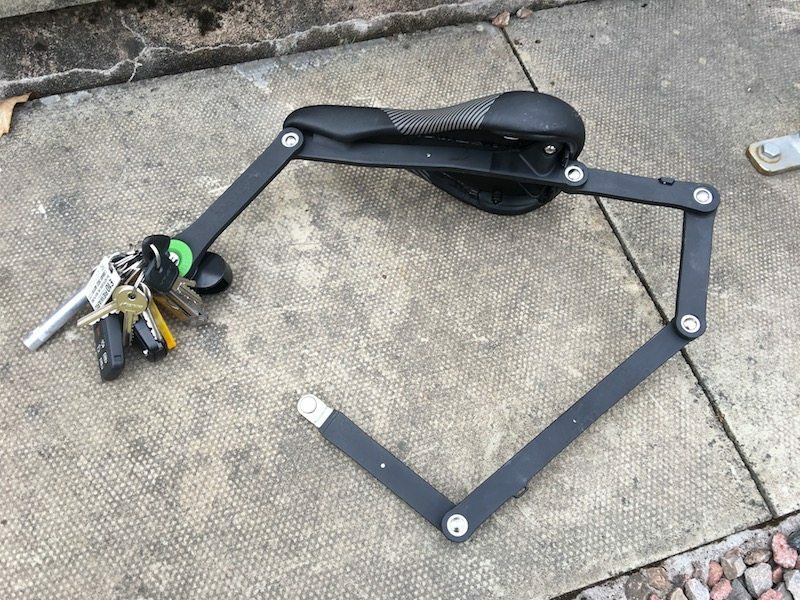 In terms of attaching the your lock and securing the bike, you are giong to feed the end of the SeatyLock chain, back into the lock that held things together whilst it was sat on your bike. Turn the key and you are all done! 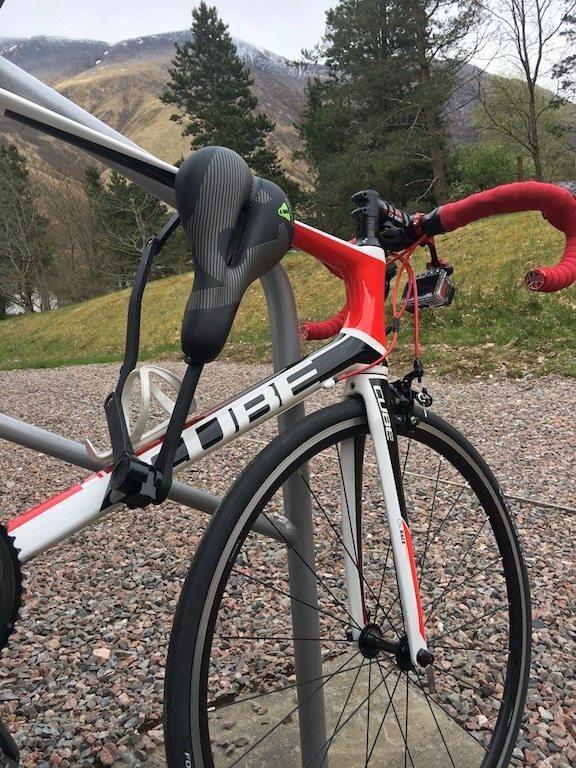 Bike secure and seat secure! Now the main point about a bike lock is that you dont want someone to be able to steal it -DUH! 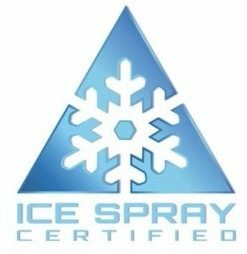 As such many people look for the the Sold Secure rating. 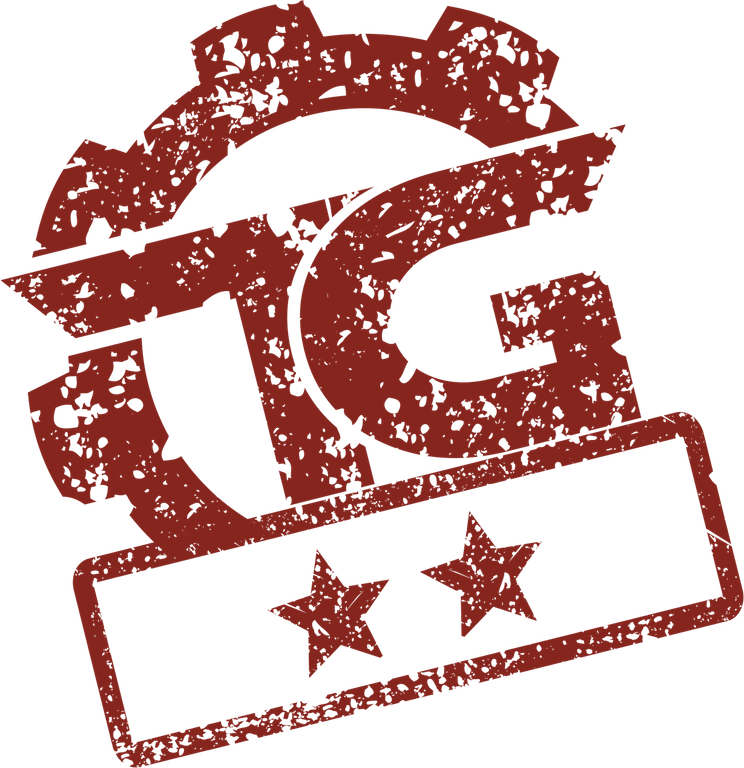 This is an important rating system, particularly when it comes to insurance as Wiggle explains very nicely. 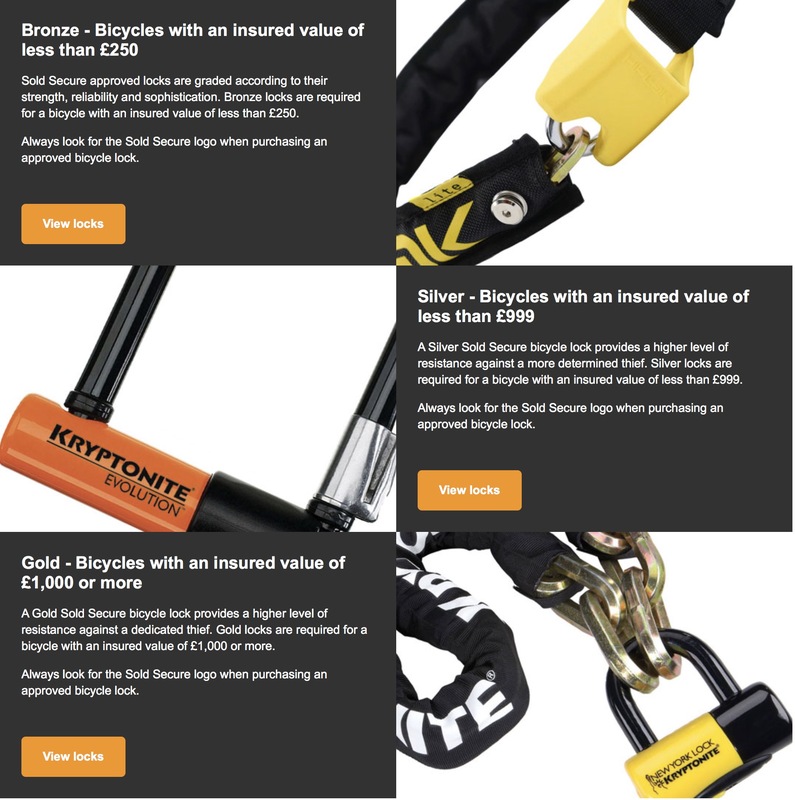 The cost of your bike, and the insurance you have on it, needs to be matched by the lock that you use. 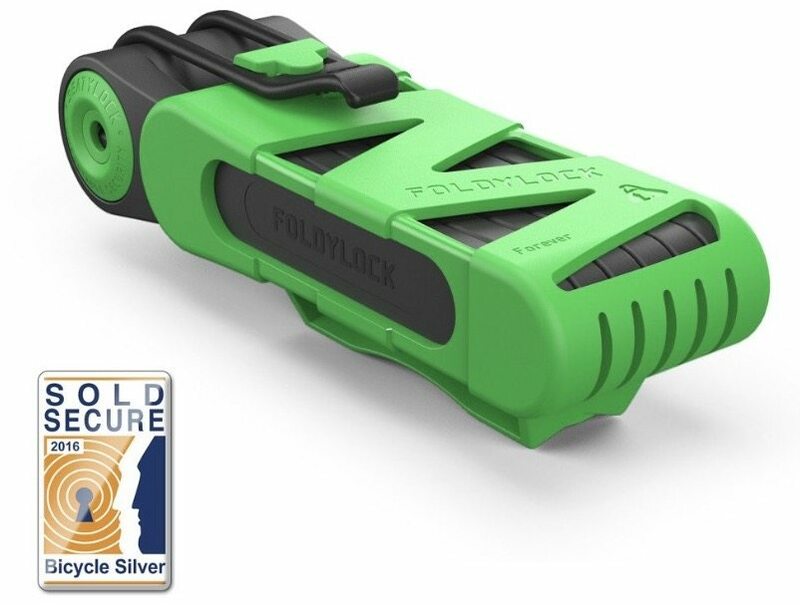 For the life of me, I cannot find out what this means… and for a company selling a bike lock that isnt good, and almost feels a little misleading. The metal of the links is covered in a rough texture. This isn’t actually that friendly on your bike frame, as I noticed a few marks on the top tube where the Seatylock links had made contact. The SeatyLock is a good idea. 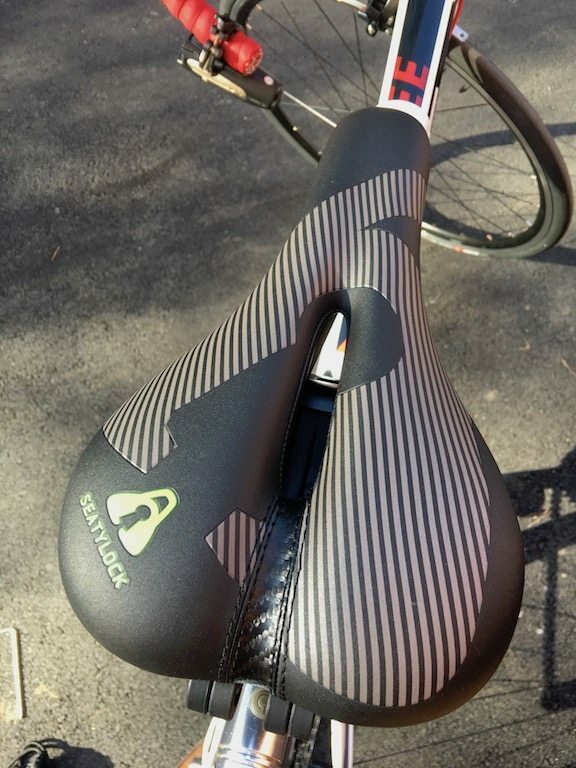 A comfortable seat, attached to an always there lock which doesn’t impact on the lines of your bike. But there are a few compromises in bringing this idea to market. 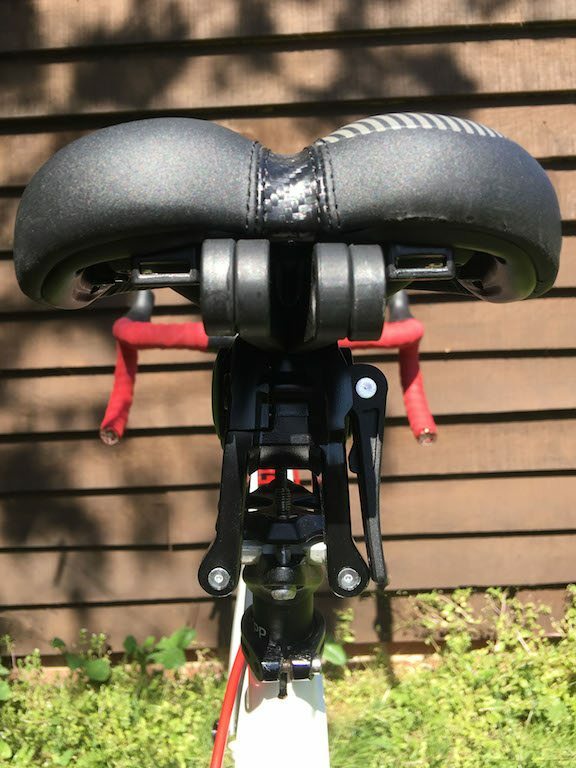 One of which is the slightly restrictive mounting, I managed to find a comfortable location for the saddle but would have preferred it to be further backwards still. 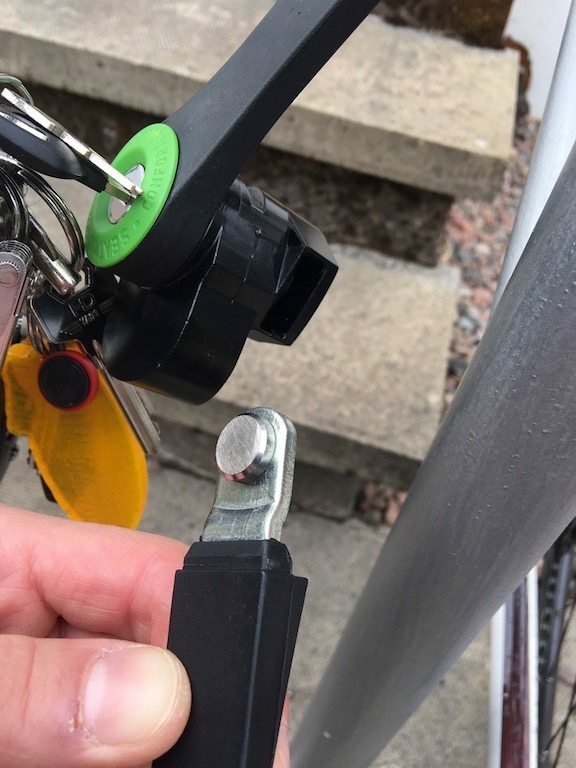 Secondarily is the ability to potentially mark your bike, this in my mind moves the lock very much down the scale to limit it’s use to a commuter hack. 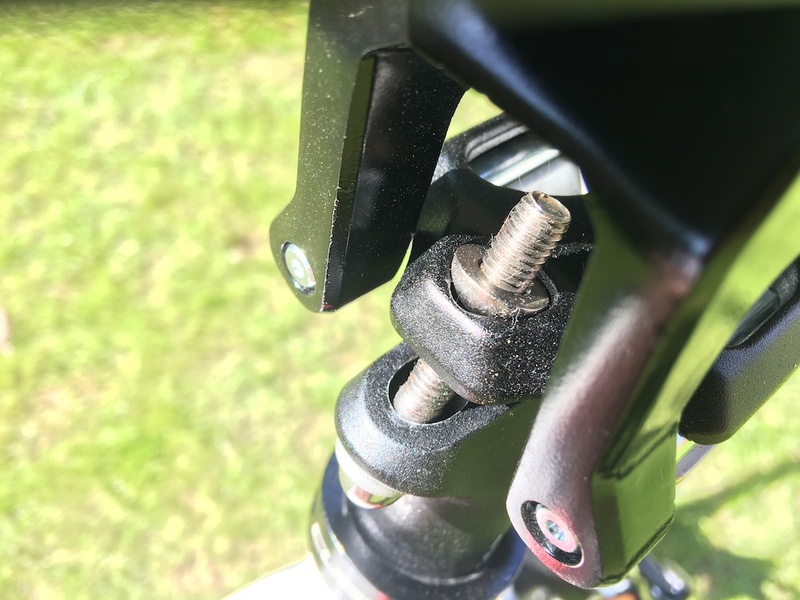 Overall reasonable lock, well integrated into the bike, but a few issues bringing the seaty lock down to 2/5 – not happy with things scratching my bike!